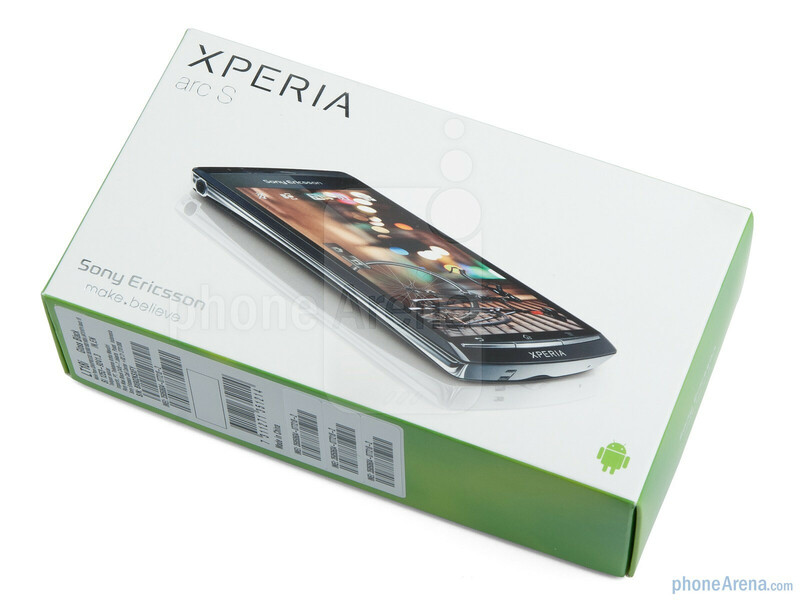 After redeeming its Android mojo with the sleek and capable Sony Ericsson Xperia arc, the company decided to out an upgrade as a stopgap flagship until it eventually makes it to the dual-core Nozomi rumored for next year. 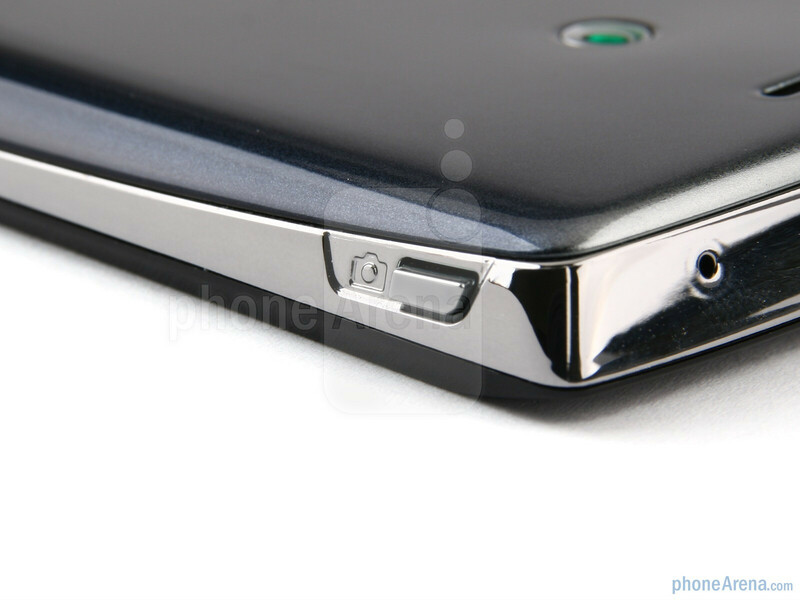 We say stopgap, since the Sony Ericsson Xperia arc S keeps the breathtaking design of its predecessor, but ups the ante with a still-single core 1.4GHz processor, 14.4Mbps instead of 7.2Mbps radio, and teaches the 8MP Exmor R camera some new tricks. 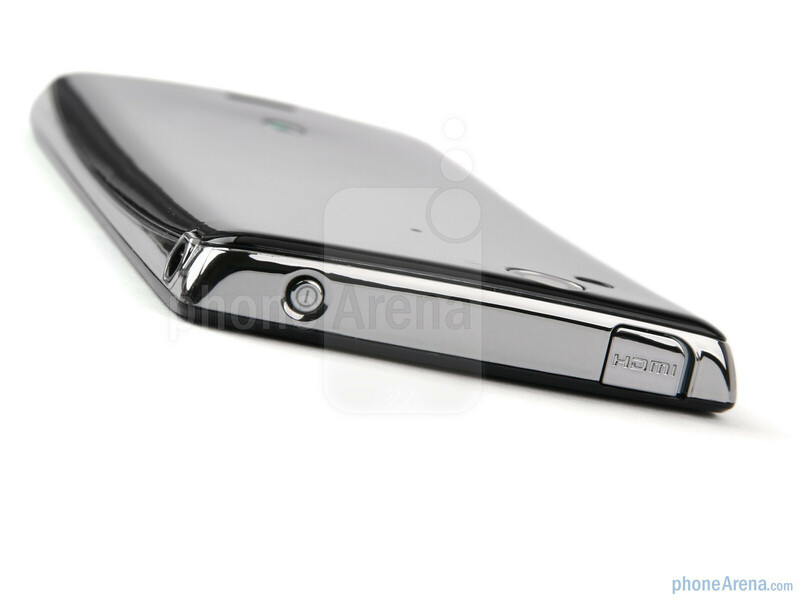 The Sony Ericsson Xperia arc S is again just 0.34” (8.7mm) thin in the middle, which gradually becomes 0.39” (10mm) at both ends. The overarching ambition (pun intended) has been to arm the company with “one of the thinnest” punch line, and the result is beautiful. 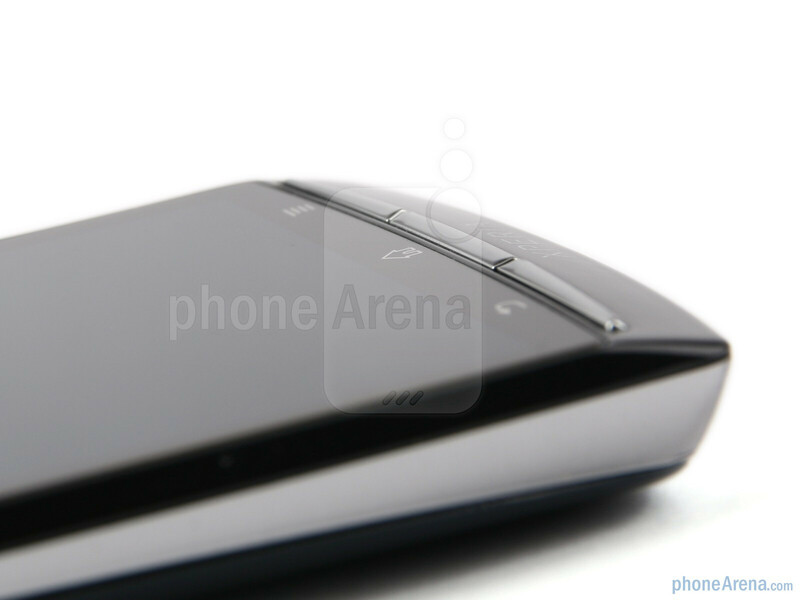 You can compare the Sony Ericsson Xperia arc S with many other phones using our Size Visualization Tool. 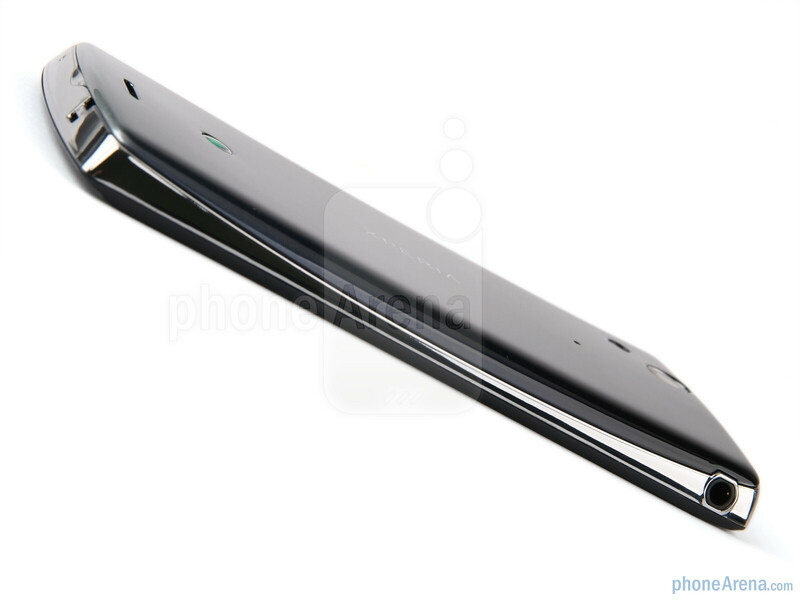 Everyone we showed the handset to loved how slick it is, and even we seasoned veterans couldn't help but agree that tall, thin and narrow seems to be a good solution for big screen handsets. The size of the huge 4.2” display is barely uncomfortable at 0.34” thickness, and the arched profile makes it a breeze to hold and handle. The 4.2” screen is of Sony's own Super LCD variety, with 480x854 pixels of resolution and LED backlighting. With the addition of the Mobile BRAVIA Engine to this screen type, borrowed from its TV lineup, Sony has come up with a new marketing title – the Reality Display. What it does in actuality is to rev up the contrast and sharpness of the picture when displaying photos or playing videos. We can attest that there is a difference, although it is not as strikingly significant as the one between the Super LCD and the punchy colors of the Super AMOLED screen technologies, for instance. The display is bright enough for comfortably operating it in broad daylight, which is all fine and dandy, but the viewing angles, for that matter, are pretty poor. Contrast and color degradation when looking at an angle are almost akin to the older generation of LCD displays, and far from the excellent viewing angles on the IPS-LCD of the Xperia ray, for example. 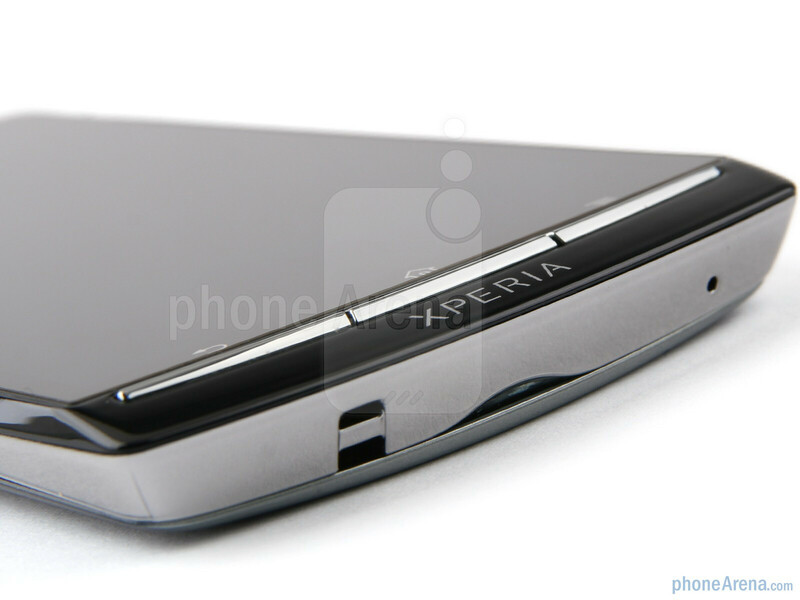 The phone sports the previous Xperia line design with the thin buttons underneath the display, instead of the huge semi-circle for a home button we have in the latest Xperias. The three keys are illuminated with white LED lights, and have a nice rubbery feeling to them when pressed, instead of annoying clicks, making them fun to operate. 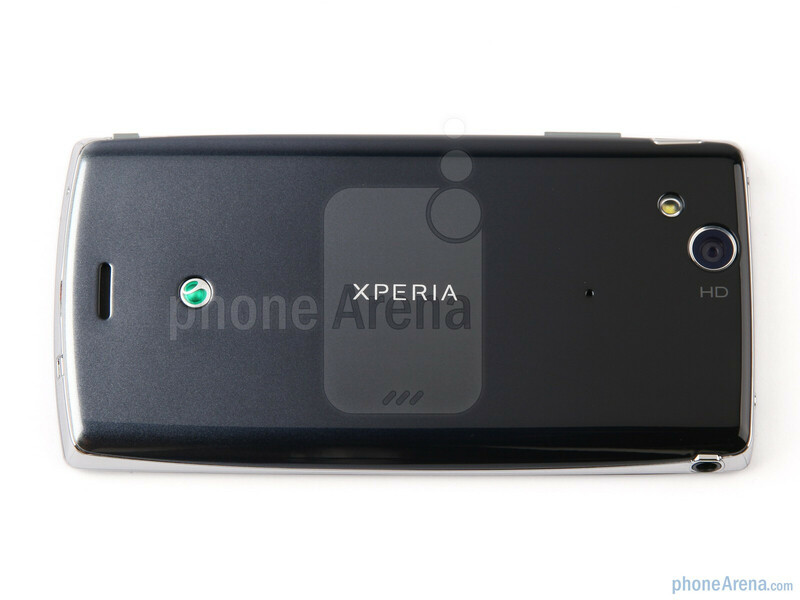 The whole design is made of quality plastic.The back cover flexes a bit when pressed down because of the thin plastic, but the Sony Ericsson Xperia arc S clocks in at 4.12 oz (117grams), which is very good for a handset that size. The camera sensor is placed in the only space the engineering team could fit it, considering the 0.34” thickness in the middle - near the upper edge on the back - which means you have to be careful not to place your finger over the lens when shooting. 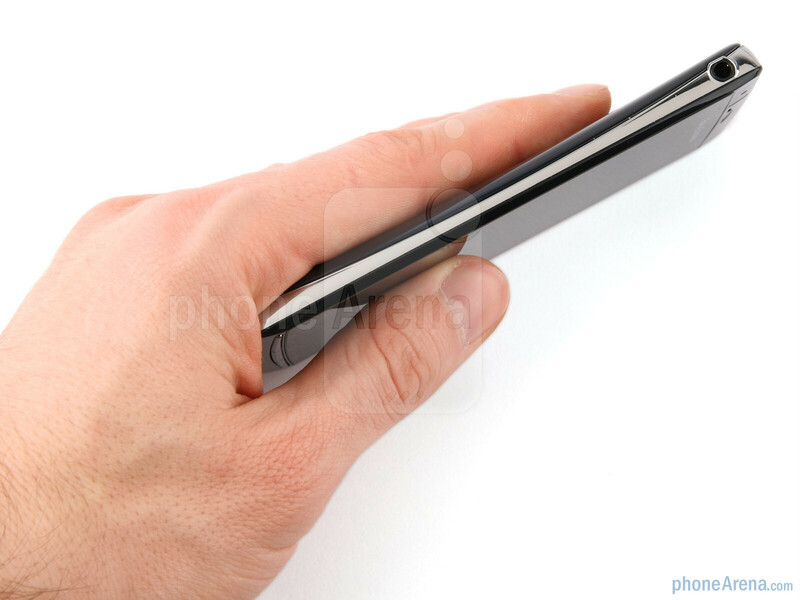 Combine that with the rather smallish and somewhat hard to press shutter key on the right near the lower edge, and you definitely need to hold the phone with two hands when taking a picture, unless you use the touchscreen. The power/lock screen key at the top is is slightly protruding to make it easier to find, but it's still the size of confetti, so just for checking what time it is, you have to fiddle with your fingers at the top, until you find and press it. 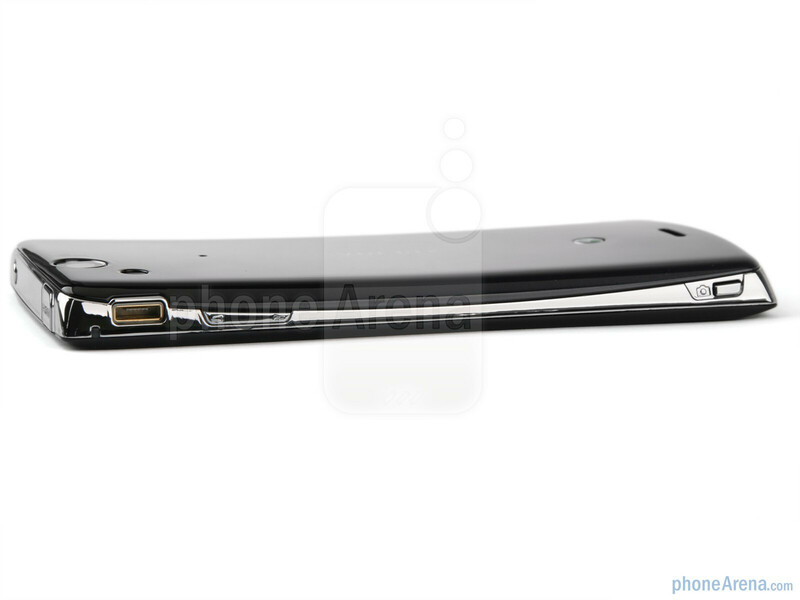 There is still no front-facing camera, which will be a disappointment to those who ever use one. 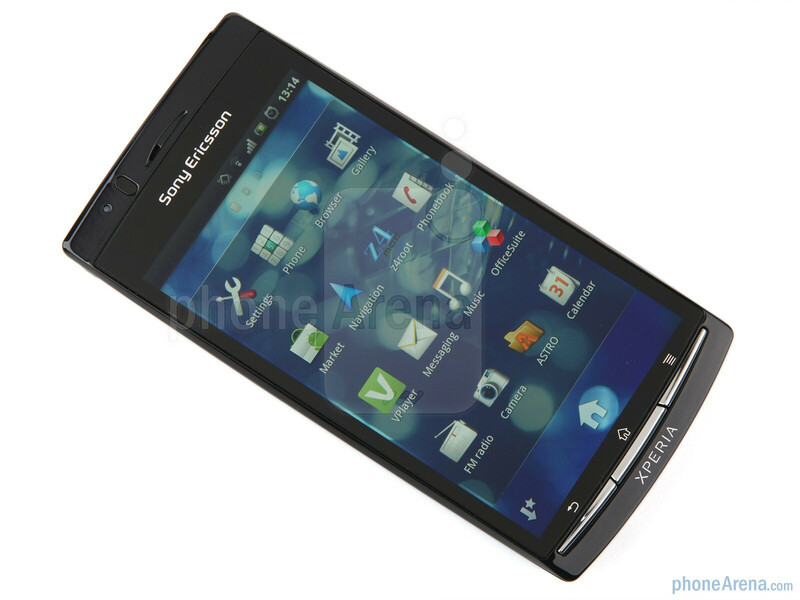 Sony Ericsson is definitely one of my favourite phone manufacturers. Don't worry, we should see a SE dualcore early next year and most definitely, SE will nail it. About quad-cores, as of now and up until next year im thinking that they are useless as more apps arent even optimized for dual-core. so quad-core makes no sense in that area. The reason why they did not jump in the Dual core band wagon is they don't to jump in an untested waters (software support for the handset). . . They're the type that doesnt want to gamble anymore, they will only release a Dual Core when the ICS is fully utilize which will be in time for their next flagship phone. . .
One of the best looking devices out there I agree wow! My GS2 is still in full Command & Conquer...!!!! No Flash? 512MB of RAM? no no no! It's look nice but spec bad! Flash? Review the phone review dude. . . If you're a heavy user consider the dual core heavy weights instead of this one. .
Sony makes gorgeous hardware lately. After their update schedule with the original Xperia phones, I was uninterested in any Sony product. However, they are now keeping phones up to date on Android releases much better, and with them giving phones, codes, and support to the CyanogenMod team, I have to say I am impressed. I run an indirect VZW agent store, and would buy a Sony on VZW if it had dual-core and LTE. I myself gambled when I bought the Arc last June, considering SE's reputation with its 2010 handsets (x10). . But this time around they've already released 3 software updates. . . So the software side of SE is now about solved next up for them is to upgrade their next years smartphones hardware. . . I doubt that they're gonna be any Dual core phones next year. Considering that Sony just bought Ericsson's share in the partnership, an organizational revamping should follow next. But we can really expect greater phones from Sony from now on that they'll probably be integrating with their other products, HDTVs, PS3 etc. I'm looking for a new phone and my two last chooices are- SE arc or blakberry. which is better and which should I buy? Xperia Arc of course Black B is awful ! l telefonino SonyEricsson Arc S, ricevuto per rinnovo abbonamento a fine ottobre 2011, presenta a mio avviso dei difetti congeniti tali da non poter essere da me utilizzato. I tre tasti frontali fuoriescono troppo dal profilo e quello centrale attiva perennemente il display quando é in tasca. Pur avendo disabilitato Internet, Bluetooth, Wlan e regolato il ”Timeout” del display al minimo, senza ricevere o trasmettere nessuna telefonata, la batteria non supera le 24 ore invece dei 430 pubblicizzati in “Standby”. Pertanto l’autonomia è più che insufficiente se si considera il nessun utilizzo. Ho cercato inutilmente un astuccio rigido che attenua il problema nei vari Market anche perché la Sony non ne produce. Ho parlato con il “support” della SonyEricsson e mi è stato confermato che ciò é un problema congenito del telefonino. 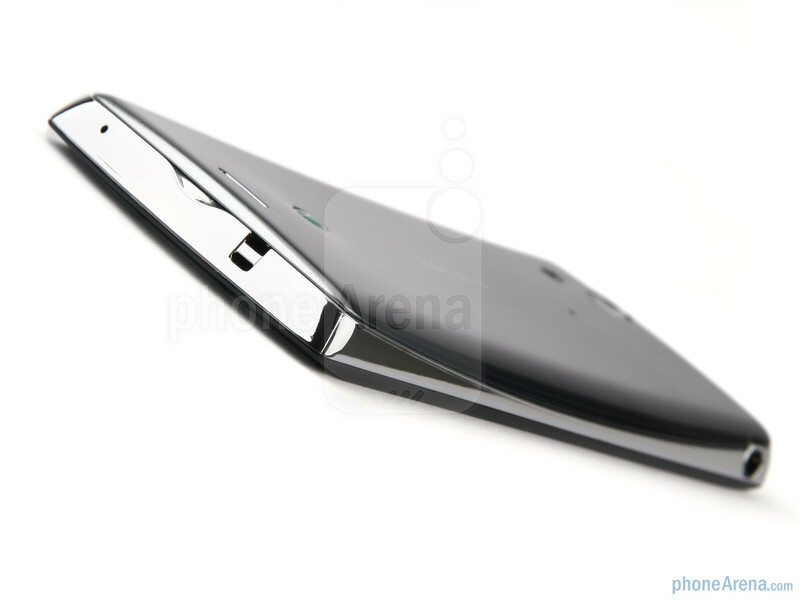 Questo SonyEricsson Arc S, pur avendo rispetto alla concorrenza una batteria di più piccola capacità, può essere accettato da qualcuno che lo tiene in borsetta ma non da chi è abituato a tenerlo in tasca. I don't care that this phone has a single core processor, it can still do 90% of the things that the dual core phones can do even with intense gaming and you can definitely play GTA 3 with the lowest / medium settings easily so no matter how is it's processor, it you wan't a phone that looks good then this will be anyone's first choice..! !